85% off Microfiber Sheet Sets (Available in 4 sizes & 12 Colors) - Just $18.99 Shipped! This Melano Brushed Microfiber Luxury 4-Piece Sheet Set is currently selling for just $18.99 on Tanga.com! You will be saving 85% off the listed price of $129.99 with this sheet set deal. 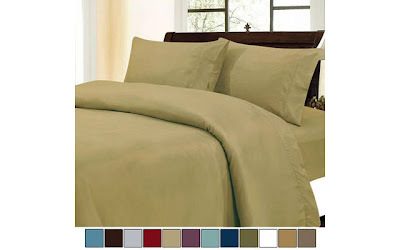 More about these microfiber sheet sets . . .